Apply with a damp sponge or brush. Removes very easily with soap and water. 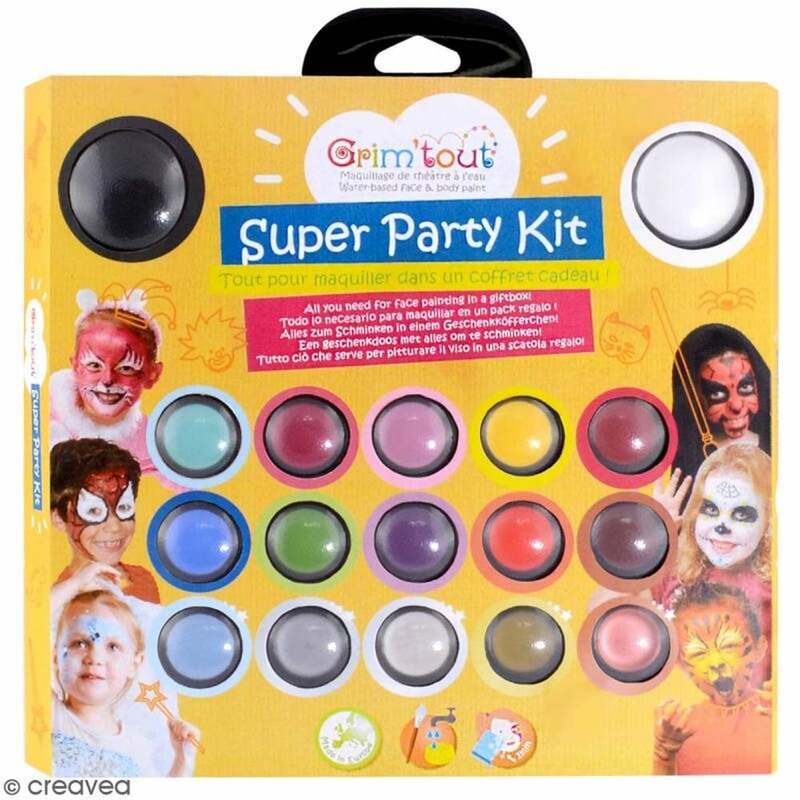 A bit about the brand: Grim’tout is a water-based face and body painting French brand, made in order to respond to the mothers’ needs: an easy-on easy off face paint, preserving their children’s sensitive skin. Grim’tout is carefully made in Europe, in order to respect the fragile skin of all ages. Paraben-free, without any fragrance and non-greasy, our products are made with a professional quality and ensure that you are able to achieve great face paintings easily and – be sure your children will have fun, while minimising risks of allergies. Grim’tout’s products are in full compliance with the cosmetics standards and have been CE certified. Made by mums, Grim’tout has always wanted to make face painting easier for parents or teachers, while providing children’s enjoyment.